﻿ Grand Mogador Menara Marrakech. JIMAT di Agoda.com! Dengan WiFi percuma di kawasan awam, Grand Mogador Menara menawarkan spa, kolam renang yang dihangatkan dan pusat kesihatan. Tetamu boleh memilih daripada 3 restoran yang menghidangkan masakan antarabangsa Maghribi, Perancis dan antarabangsa. Semua bilik-bilik di Grand Mogador Menara mempunyai balkoni dan berhawa dingin. Kagumi pemandangan ke Congress Palace di Avenue Mohammed VI yang berprestij atau menghadap ke kolam renang. Pada waktu siang, restoran snek, Planetfood, menghidangkan sajian ringkas. Untuk petang yang santai, tetamu boleh menikmati pilihan teh dan kuih-muih Maghribi di kafe lounge atau di teres. Grand Mogador Menara menawarkan pelbagai perkhidmatan termasuk kedai-kedai butik, perkhidmatan menjaga anak dan parking percuma di lokasi. Lapangan Terbang Marrakech Menara berjarak hanya 4 km jauhnya. Not sure why and who has awarded this hotel 5*. This is only should be 3*. Hotel do not have tissue paper, water bottles and bed sank quite badly. Very dimly lit rooms and corridors. Slow lifts. 1. good cost-effectiveness 2. good breakfast. 3. bad room wifi. 4. spring bed : not tight. soft. 5. spacious : good. Not Good, We were hoping to use indoor pool and the Sauna/ steam, every thing was chargeable. Not exceptable for 5 Star Hotel. Rooms need updating. 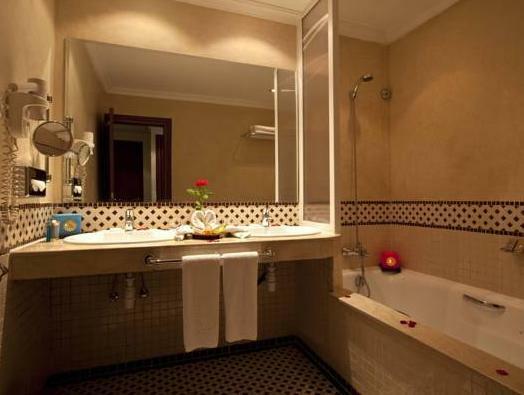 Facilities were clean, superb, beautiful, large rooms and bathrooms. The wifi was very weak in the room and worked occasionally. In the room there was no list of food available for room service or hotel regulations, though the guard in French (which I do not understand, evidently his only language) seemed to be reprimanding me for bringing in a pizza. For the price I expected much better. Sometimes not so good preserved interior of you count the five stars of the hotel, airco seemed broken. big hotel, not much guest, breakfast was limited in choice. restaurants were often closed due to the lack of clients. heated indoor pool is a plus.hassan from the hotel reception was great. best possible service and great professionalism. as in title..location,views,room size and staff. sorry but cannot fault it! stayed with my sister for just one night on last night of our tour of morocco.arrived late,greated well by porter/reception.rooms were amazing!we both had great views of the boulevard and was interesting watching all the goings on in the street.we were hungry as we had just had a very long day so we ordered room service at 2am which was delivered prompt and good value.had a good nights sleep then we had a quick visit to the main square which was a real eye opener.say no more! would for sure return to this hotel.we are thinking now 2 nights on arrival in marrakesh then do a tour including the desert and then return to this hotel for 2 nights before we go home. must say that the main thing we liked about this hotel was the friendliness of the staff who were very helpful.due to short stay we didnt get a chance to get to know any of them apart from young abdul who helped us at breakfast..a very nice guy. many thanks to you all at mogador menara for ending our holiday on a high note. craig and audrey from uk. belissimo hotel com excelentes condiçoes. Excelentes quartos e bom pequeno almoçp. Parque infantil. Boa piscina. Pessoal prestavel. excelente relaçao qualidade preço. Excelente relaçao qualidade preço. 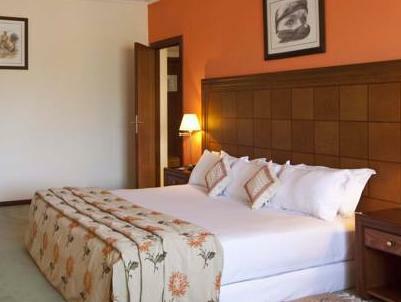 Bons quartos. Bo pequeno-almoço. Parque infantil. Boa piscina. 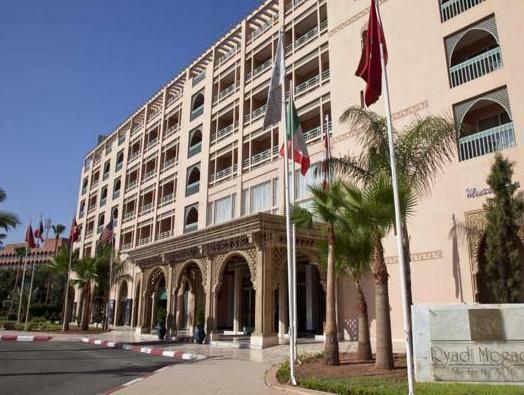 Ryad Mogador Menara is een groot hotel dicht bij het centrum van Marrakech. Het hotel ziet er van buitenaf courant uit. Binnen is het schoon en ruim. De tweepersoonskamers beschikken over een ruime badkamer (in mijn geval helaas zonder werkende douche), een balkon, groot bed, voldoende kastruimte, tv en een niet werkende kluis. Er is o.a. een zwembad, spavoorzieningen en een fitnessruimte. Aan een aantal zaken is te merken dat het hotel toch wat verouderd is. De draadloze-internetverbinding was zeer slecht; en was eigenlijk alleen te gebruiken in de directe nabijheid van het zwembad. Bij aankomst bleek dat het hotel te veel reserveringen had aangenomen waardoor een aantal personen (midden in de nacht) op zoek moest naar een ander hotel. De dienstverlening van de baliemedewerkers liet ook te wensen over. De overall indruk is redelijk mede dankzij het aardige zwembad. Accueil, sympathie du personnel. Très beau hôtel.